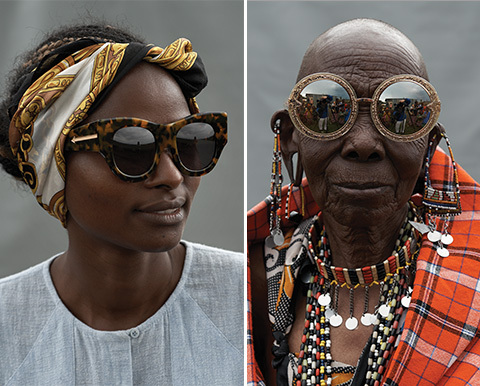 Karen Walker, a fashion designer from New Zealand, is launching this March 2014 a new campaign to help promote work in poor villages of Kenya. The brand and the Ethical Fashion Initiative are working together to produce the pouches that will carry the sunglasses. In order to promote this new sustainable initiative, Karen Walker decided to incorporate the artisan workers such as tailors, metal workers and mechanics into the campaign photographs. Through the images, Karen Walker is trying to create a window of transparency to the consumer about where and how the product is being made and delivered. This campaign has already been criticized due to the fact that the glasses are Made in China; and also for making very poor people wear very expensive glasses. I believe today being 100% sustainable is an impossible goal to achieve, and that any effort in creating a more ethical product is a step in the right direction. Although Karen Walker might not meet a perfect standard of eco-friendly expectations, its brands like these who take an initiative that can help set a good example.